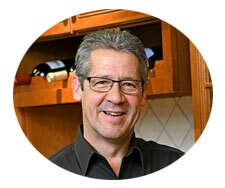 About Us - Remodeling Designs, Inc.
Remodeling Designs was founded in April, 1990, by Erich Eggers. The company was incorporated the following year. Erich, who serves as President, graduated from the University of Dayton with a Bachelor’s degree in Mechanical Engineering Technology. His formal training, continuing education and creative vision are tremendous assets in achieving first-rate results, especially when combined with the talents of our quality craftsmen. Recently, Erich’s daughter and son-in-law, Christine and Mark Balsan, have become co-owners of Remodeling Designs, Inc. Christine has been working at the company for eight years and Mark has six years. Christine and Mark are also alumni of University of Dayton. Our reputation for excellence was established quickly after our founding. Today, Remodeling Designs is among the area’s largest, most respected, full service Design/Build firms. Most of our projects require extensive remodeling, especially for entire homes, kitchens, bathrooms, basements, and room additions. We are recognized locally and nationally as one of the best run, highest quality remodeling companies in the United States. In fact, we have received our industry’s highest honors for quality and integrity. Given our success, we strive continually to remain among the most competent, most trustworthy remodeling firms anywhere. The Golden Rule guides the way we conduct business and our lives. Everyone associated with our organization desires to exceed your expectations before, during and after the project with open lines of communication, outstanding craftsmanship and honesty. To be the leading Design/Build remodeling company in the Miami Valley as measured by continued client satisfaction, improved profitability and planned growth. To improve our clients’ lives by providing the highest quality Design/Build remodeling. To enable our team members to flourish and prosper. As defined by Webster’s dictionary, a ‘core value’ is the most essential, vital part of some idea or experience accepted by a group or individual. In real life terms, ‘core values’ are what we use to make everyday decisions on how we conduct business and ourselves. We are convinced the key to creating a truly outstanding organization is an intense focus on the values that guide its member’s actions. These are Remodeling Designs core values and beliefs. If we are not living up to them let us know! I aim for excellence and professionalism at all times. Company mission first, team second, individual third. I am empowered, respected and appreciated and take great pride in my work. I will not lie, steal nor tolerate among us anyone who does. I continually strive to improve my company and myself through constant communication, education and accountability. Work is an important part of life, and it should be enjoyable. I understand that Remodeling Designs’ vision, mission, purpose and core values is critical to my success.